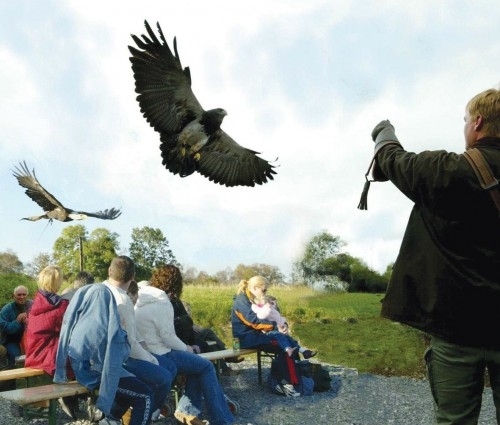 Situated amid the beautiful landscape of North-West Ireland is Eagles Flying, the largest Centre for Birds of Prey and Owls in the country. 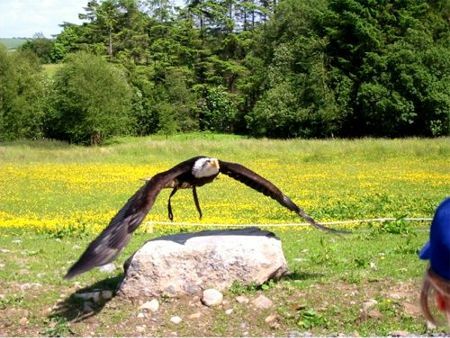 This fantastic and memorable experience of majestic raptors soaring over one of the most lovely locations to be found. It is really something different for a hen party. During the shows which last approx 2 hours you get a chance to get up close to the masters of the sky. You will see the birds hunting on prey-dummies in their natural envirnment. You will also have access to the touch zoo. There are goats, lambs, donkeys, horses, guinea pigs, rabbits, hedgehogs, ferrets, different pigs, raccoon, chinchillas and many more animals. We recommend groups to go out at 2pm and enjoy the Touch Zoo and then experience the show at 3pm. This then lasts 1 hour.